Our bestsellers are on sale now for the first time ever! Get access to our most popular courses for only $20/course for 30 days access for full subscribers ($30/course regular rate) - scroll down for more! Boost your volunteer management skills by accessing our fun and interactive pre-recorded training modules, when you want, where you want, through the Online Learning Centre. Check out our new sneak peeks here! 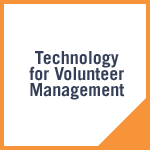 Free Courses: The 6 courses in our Volunteer Management Basics series are FREE for all Subscribers. Non-subscribers can access the free courses with the purchase of any course listed below. Each bundle costs $120 for Full Subscribers / $200 Regular Rate and includes 3 courses each.